If you’re looking for some fun, yet still practical, children’s gifts, look no further than our children’s beanies. These cute hats look adorable on tiny heads. The best part is that they’re 100% fair trade, and 100% of the profits at Earth Divas are given back to the artisans. This means that every purchase truly makes a difference in the life of someone else! So, let’s look at some of these wonderfully fun fair trade beanies. I wish we made this hat big enough for adults; I would wear it in a second! 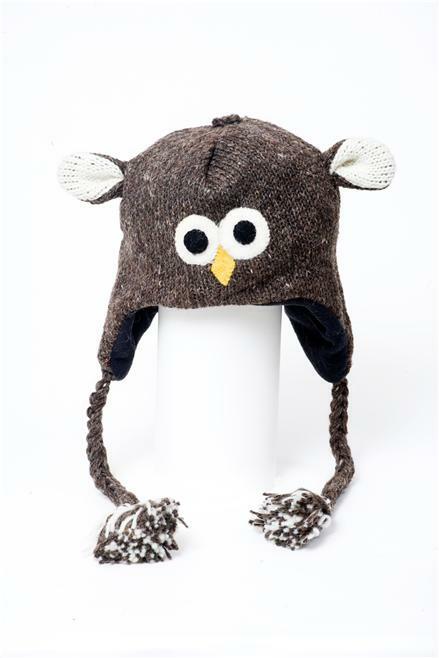 Our fun Owl Beanie is warm and friendly looking. He would make a great stocking stuffer! We have an entire line of wonderful fair trade kids hats. They’re hand-sewn, made of wool, and lined with cozy fleece. These hats come in several fun animal shapes such as Lion, Tiger, Koala, and Puppy Dog!